Life can be seriously stressful, and we all know that. One of the biggest life stressors can be changing careers. Data from 2015 and 2016 collected by the Current Population Survey revealed that 4% of the total workforce changed from one occupational group to another. That is 6.2 million U.S. workers dealing with midlife career changes. If you find yourself in this group, you are not alone. While midlife career changes can be uniquely stressful, there are solutions to coping with this pain. Because stress can make your career transition even more difficult, often causing you to second guess your decision, it’s important to deal with these emotions in positive ways. Here are four life skills that everyone should know in order to help cope with stress in your life. Major life changes increase hormones like cortisol in our bodies that are related to stress, but participating in physical activity can be a great natural stress reliever. Working out and exercising can help combat these feelings before they become overwhelming. Go for a walk to get fresh air or play a game of tennis with your best friend to help get rid of some of that stress in your life. A lack of sleep can be an unnecessary additive to the stress levels you experience. As hard as it can be sometimes, getting the most amount of sleep possible is optimal for stress reduction. This should be done without the aid of medication, for that is not true, relaxing sleep. Increasing relaxation time before bed is the best thing to do in order to fall asleep and stay asleep. Going to bed at the same time every night also helps get your body into a routine. Doing something relaxing like reading a book before bed will be beneficial for the night’s sleep that lies ahead. One of the biggest stressors in life can be that there is just not enough time in a day to get things done, and as you feel more unorganized, this becomes a self-fulfilling prophesy. Keeping a planner or a to do list can be tremendously helpful, but ultimately you need to practice self discipline. Keeping your head straight and being able to physically see your tasks makes completing them that much more satisfying. Life skills like time management are critical for those with busy schedules, especially during a career change. Last but not least, it’s important to talk to someone about your stress. Keeping it bottled up is wildly unhealthy and doomed to fail. 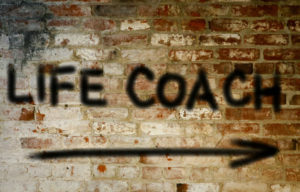 Life coaching is available for exactly this reason. 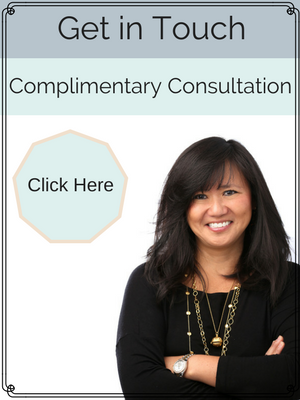 If you need career directions or any kind of executive coaching, looking for a life coach may just be the perfect thing for you during this difficult time. Life can be stressful, and there’s no shame in feeling the stress. These four life skills are important to know and understand so that you can keep your head on your shoulders through any number of stressful times throughout your life.